If you remembered, I used this card, as a basic format for a set of cards I recently made. It started to grow on me. 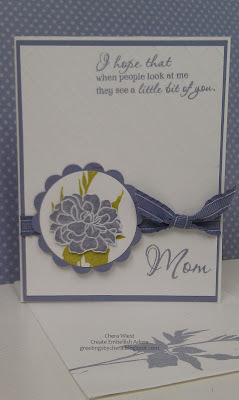 So I used it for a few mothers day cards with it too. The sentiments are not SU! but they are classy and meaningful. 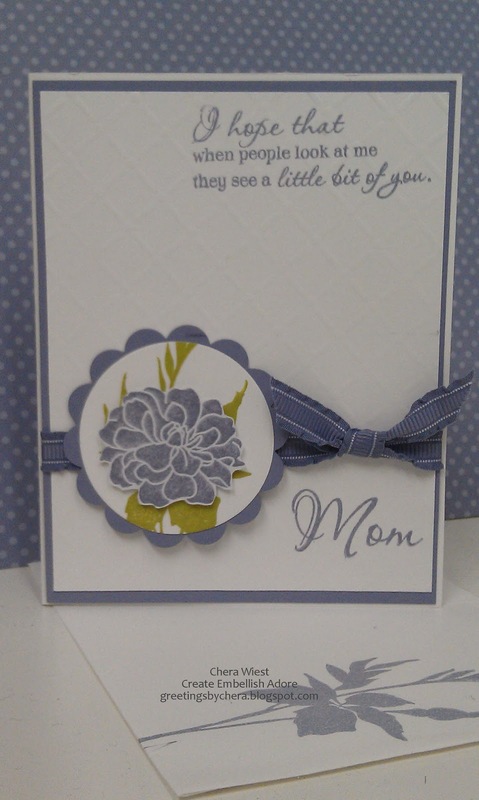 These cards are super fast and I love to have the blank ones in my stash for any occasion. How many of you really mail out the cards you make anyway? I was looking over my stash - in which, man o day, if I do challenges, rarely do I send them. But club cards get mailed.. how weird is that? Oh well.